March 7, nine to noon, rain or shine! Free for my clients, friends, and their friends! as a general rule for e-Waste….as long as it has a cord…they can take it away! Plus you can get rid of computer hard-drives as well, securely! 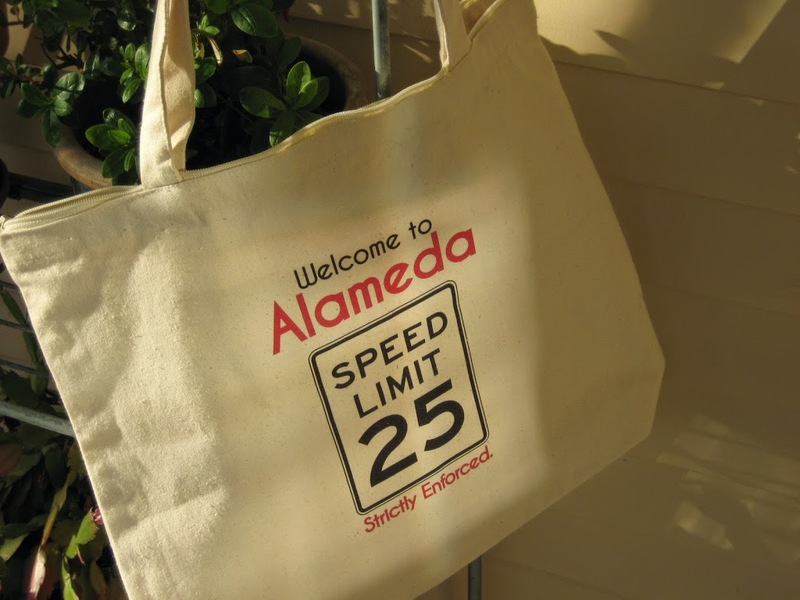 Clients of mine gave me this bag…Alameda is known for the 25 mpg speed limit! Thanks, PJ and and Heather! Boomer -Chick-Musings.com What I think about…during the week…or not. Broker Tour Tues…only 3 this week! Expired 1 per the MLS: tenant is in this, won’t let folks in until they have an accepted offer, needs to be tenant occupied, blah blah blah…hard to sell under these circumstances. Alameda Real Estate Awards this week…this is only my perspective! Got me a facelift nifty house…but right next to a vacant and/or car rental place close to Webster. Get me a makeover great views, 1960 duet (treated as a SFR) needs to be brought into 2015! Get me to rehab! Needs foundation, needs the stucco removed, needs pretty much everything. That’s my story and I’m stickin’ to it! Mark your calendars for the Shred and e-Waste Party!